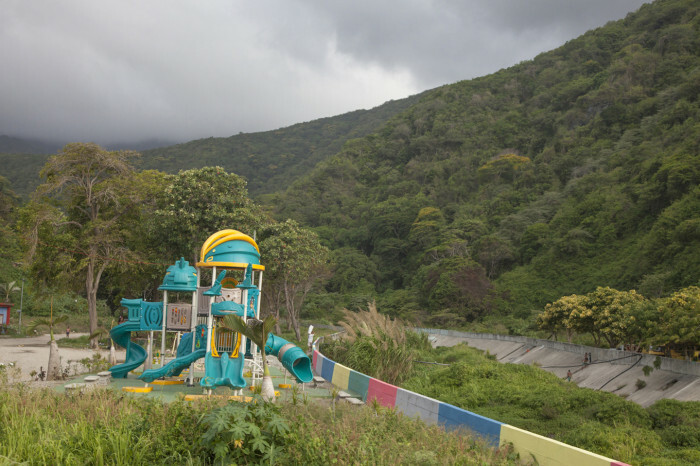 María Virginia Jaua interviews Venezuelan artist Angela Bonadies; they discuss Venezuela's permanent "state of exception", the now normalized civil oppression ravaging the country. Maria Virginia Jaua entrevista a la artista venezolana Angela Bonadies; ellas discuten el "estado de excepción" permanente que vive el país: una opresión civil normalizada que causa estragos en la población. Caracas – La Guaira bridge, Venezuela. Author unknown. Before getting into the matter at hand, it may be pertinent to establish some positions with regard to the thematic issues that will be taken up. It is posited that “shock” as proposed by Naomi Klein can be an artistic strategy or an aesthetic method with which artists work to revert the negative effects of capitalist neoliberal policies or those of any other ideology, or indeed the ravages of war or natural disasters. As such, contemporary art serves as a sort of mediation exercise that helps humans “digest” the trauma brought on by horrifying realities to which they have been subject thus far in the Twenty-First Century. It has struck me that a conversation with a Venezuelan artist that takes up some of the issues to which certain artists have sought to give form, or a conversation on the issues worth reflecting on in relation to that possibility, could lead to other, less “salvific” or hopeful, yet more authentic and therefore more “productive” approaches. I have a memory from one of my trips to Venezuela. 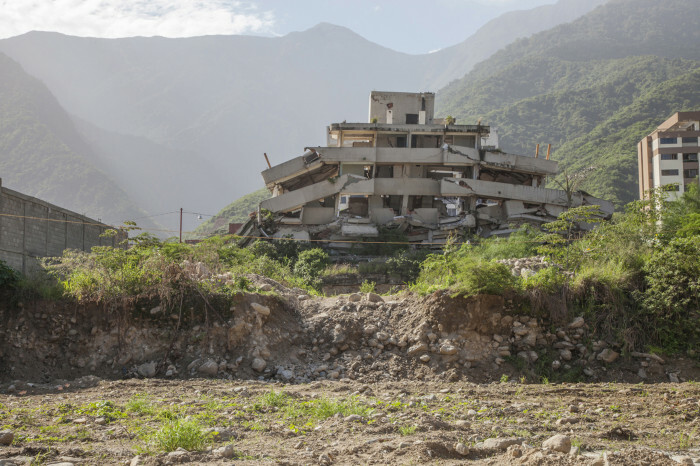 On that occasion, a friend came to pick me up at the airport and when we arrived at La Guaira (a coastal area near Caracas on the other side of the mountains from the city), en route to the capital, he said to me, “We’re going to go over the bridge, but I want you to know that it’s on the verge of collapse. I hope we manage to get across, but I’m not sure you’ll be able to cross back over when you go.” Lo and behold, the prophecy was fulfilled and the bridge failed two or three days after we crossed it. Once my stay was over, the journey from my father’s house to the airport was one of the most intense and painful travel experiences I’ve ever had — something like a trip into the Heart of Darkness. The only way down was along the old highway that had been completely militarized for security reasons. Given how much traffic there was, you had to start out a day early if you wanted to be sure to catch your plane. It was a complete contingency scene. Amidst all that hostility I found a family that took me in for one night, within the ruins of the tragedy that had devastated La Guaira at the beginning of the Chávez presidency — and to which there had never been a response. They never rebuilt and the people who lost their homes were never offered any solutions. One of the children of my father’s friend who put me up that night asked me, “How long has it been since you you were last here?” I answered it had been a long time indeed, long before the tragedy. So then he took me on a tour of the area so I could see the vestiges of what had happened. I experienced “shock,” though not so much because of the devastation that the rains and landslides had brought on, but rather, because of years of indifference and disdain with regard to the people that were still there. The tragedy had not ended; it remained right there, years after it first occurred, with huge boulders atop people’s houses, with dried mud and the structures destroyed. I felt profound pain that later dissipated over dinner with that family on a warm, enjoyable night beneath a mango tree. The convivial occasion took me back to something that’s hard for me to explain and that perhaps I can only call “humanity” — something I associate with a certain lightness and warmth inherent to being Venezuelan. 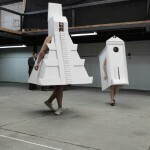 María Virginia Jaua: A lot of your work implies going to “that” place. It’s an indescribable place. A place we know and love but that doesn’t exist nor will it ever… I’d like to begin by speaking to you about that trip. 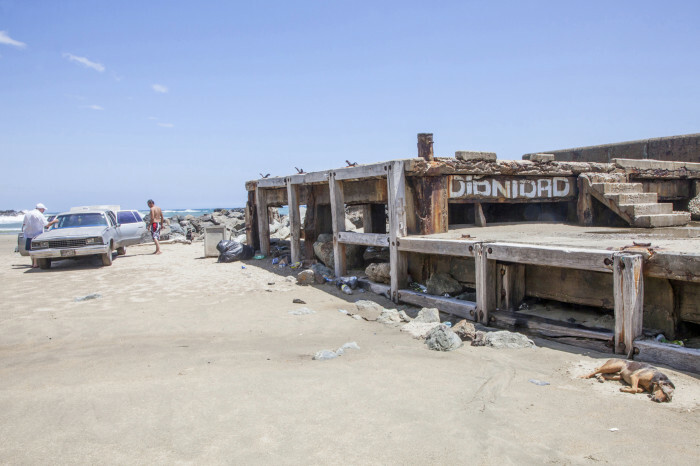 Ángela Bonadies: You could say the trip to La Guaira or the State of Vargas is a trip to a “melancholic state.” It’s a place that, despite its incredible natural setting, has become at once a no man’s land and everyone’s land, a dumpy backyard with an ocean view, a waiting room, a permanently provisional space, an overawing ruin, a space of speculation and contrast, and of the displaced. These people and those people, the ones that are from there and the ones that came from elsewhere, those of us that have always have gone there, we’ve all been all over the place in La Guaira and we have all been displaced, in terms of origin, work, and landscape. It’s also, as you say, a human space, a place where trauma made us conscious of our own vulnerability. So that’s what it is: a place inhabited and transited by vulnerable beings — both those that lived through the disaster and those that came afterward, and all of us that love that coast, our outlet to the sea. When I visited, I also had the sensation that it’s a “pre-legal” territory, where there are neither laws nor rights, where speculators and the powerful take on the form of a vengeful god as well as a beggar. And in the meantime people meander around and wait in the middle of the chaos of that indescribable place. I began to make that trip without any formal approach, several times a month or every once in a while. When I can, I go to the same places and always with someone else. It has been a tour along the coast and to the architectural structures I’ve chosen as obligatory stops, that I’ve been documenting. 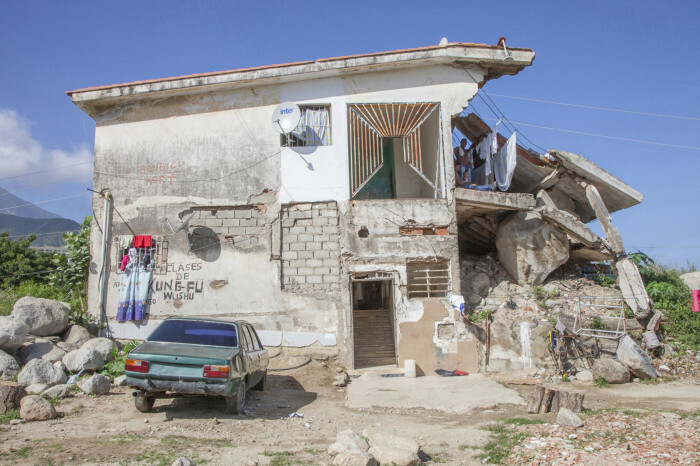 For example, there’s a house in Los Corales whose owners have abandoned it, which has an enormous boulder smashed onto is roof and that has been occupied by groups of displaced people waiting for housing the government promised them. Since I began visiting it in 2013, no fewer than four different families have occupied that house, and the boulder is still there since 1999. They’ve built new rooms inside this tumble-down residence and now everyone lives together alongside the boulder. Legend has it that a huge snake has been living in the house’s foundation since the year of the disaster. Danger has been shifted onto superior or unreal mythological figures. This is something that interests me: the stories that emerge from the architecture —architecture that also acts as an archive and a vulnerable structure, an archive of history and individual stories. These trips, or tours, have an affective side. They prevent me from losing this connection I’ve maintained since I was a kid — back then, few trips excited me as much as the highway to the ocean. I’m interested in how geographic space surrounds and translates what this now sixteen-year-old regime has been. I think you have to document what is happening there. 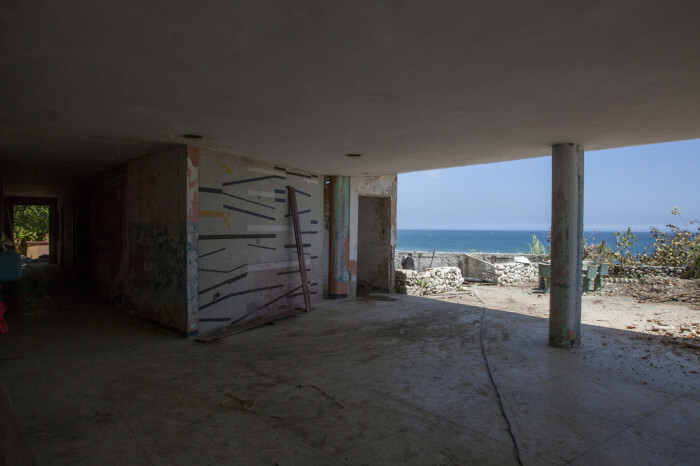 Vargas is an archive that has tumbled down right on the coast. MVJ: Beyond the state of shock to which Naomi Klein alludes, I’d like us both to consider the so-called “state of exception.” The state of exception is and has been one of the “tools” the State has used in Venezuela and in other places. For instance, to repeatedly deploy repressive forces and have them pass as an everyday occurrence… Violence is activated, it is sown and reaped as the “exception” that becomes the rule, and is installed as a program. AB: It’s a strategy with which the State turns life into a violent reality. It disseminates fear and invents enemies; it does not control violence but exposes the forces that ought to control it. It militarizes the entire country and boasts of the fact, positioning itself as all-powerful and surrounding us in a vicious circle of continuous offense and defense. The government — which in the case of Venezuela has completely appropriated the State and lacks independent institutions that can impose limits on it — remains in power thanks to this decreed, programmed, and permanent state of exception. There’s a book by Theodor Adorno, titled Ensayos sobre la propaganda fascista (Essays on Fascism) that perfectly describes what is happening to us and what has happened with other totalitarian regimes: the explosive discourse of a politician-qua-preacher who invents an amorphous, unreachable or non-existent enemy — i.e., in the Venezuelan case, an empire or an oligarchy —and based on that creates a paranoid government that seeks only to control and stay in power. MVJ: Let’s talk about your work entitled Estructuras de excepción (Structures of Exception). In this work, you join the Spanish word for exception to that of structure. Can the exception be “structured”? Is it possible to “architecturalize” it? AB: Following along the lines of what we were speaking of above, yes. Exception can be structured if it forms part of a government program that seeks to envelope and isolate us, if it turns exception into its power. On the other hand, as it relates to my work, what I’m trying to do is create an inventory of those “exceptional” cases I’ve discovered, in order to number them and turn them into a big list, to recount what their architecture recounts, to let them speak. So when they form part of a large group, you can intuit or appreciate the programmatic nature of our exceptionality. I repeat: the “state of exception” constructs a “permanently armored state.” The landscape becomes an “archipelago of exceptions” (I’m stealing this from the title of Zygmunt Bauman’s book), and therefore it’s much more difficult to construct networks and resistance, because we’ve been atomized, separated. An example as concrete as it is metaphorical is the bridges that are collapsing all over the country. A nation that’s scored by rivers and gullies needs bridges. If they aren’t there and if they aren’t maintained, then there is no communication between the parts and resistance is thwarted. Time and again Marianne Moore’s singular phrase comes to mind: “omissions are not accidents.” Not doing anything is also part of the program. It’s not an accident.In my case it’s not about “architecturalizing” exception; it’s about letting architecture enunciate or narrate it. MVJ: There’s something very interesting in your work when we talk in terms of architecture. Curiously, a city like Caracas, that was a model of so-called Latin American “modernity,” documents that violence in a brutal fashion. This is evident in its houses, buildings, bridges, and highways. But also in its incredible potential for play, its defiance of reality. How did you set up that relationship? AB: I studied architecture at the Universidad Central de Venezuela. Then I left the field and later returned to it from this other side. What interests me is that architecture is a living archive. As you say, its structures evince the violence that is being lived and they do so without rhetoric. They expose it and make it evident. You take a photo of a building and that’s an interview. If in addition to that you research its history or what has happened there, it tells you about the country, politics, economics, and which way the wind is blowing. It’s a weathervane — it tells you about the wind and the color of the gusts, about the interests of the moment. And it also reveals your subjectivity, naturally enough. How and why do its uses change? Why in recent years have certain buildings, some of them of historical significance and symbols of modernity, been turned into targets for violence, shelters, jails, training centers for security forces, ruins, government offices? How can we translate that capacity on the part of architecture to effect resistance? MVJ: There’s also something in these kinds of exceptional situations that makes me think that when “order” (if something like that exists; the Greeks have already cast doubt on the matter) is disrupted and breaks, the kids are happy. I say kids but it could be that playful spirit or spirit of rebellion that’s inherent to creation. Maybe that’s the way to neutralize shock. Art, if it happens, could maybe be an equally irresponsible attitude of not safeguarding any order; art conserves nothing for history except that at most it dreams…or plays. Is there something unconscious, some childlike state needed to be able to dare to play with the serious? Could that be why so much of the art that’s produced today is no different from a newspaper, or in some way seeks to substitute for some real life mass medium? AB: I think “neutralizing shock” is a good way to put it: working on what has been upset and lending it some other possible order and making it visible or thinking about it. I’m interested in what gets displaced and I play with that. But I also cast doubt on the fact that it could be a situation that leads me to happiness. I think the disrupted order seduces, surprises and lets you propose other forms. In other words, if “order” exists (which in our case, paradoxically, is a planned disorder), what’s seductive is positing other possible orders, straying from the single path, dreaming of forks in the road, playing with other, non-domineering forms or at least coming up with some questions. For me, Freud’s writings on the uncanny (unheimlich), based on E.T.A. Hoffmann’s story “The Sandman,” explain that seduction and madness for the displaced. Eyes coming out of sockets, and falling in love with an automaton are beautiful images. What you say about art that is currently being produced, that seems a lot like a newspaper, is interesting. Because it could mean that the dream of upsetting order became reality or a nightmare, it became an everyday thing. Or that reality surpassed fiction, as I’ve often heard said in Venezuela. I remember an artist that dreamt of taking an army tank to a museum and that the Chávez government went ahead and put it there and then filled the museum galleries with refugees. 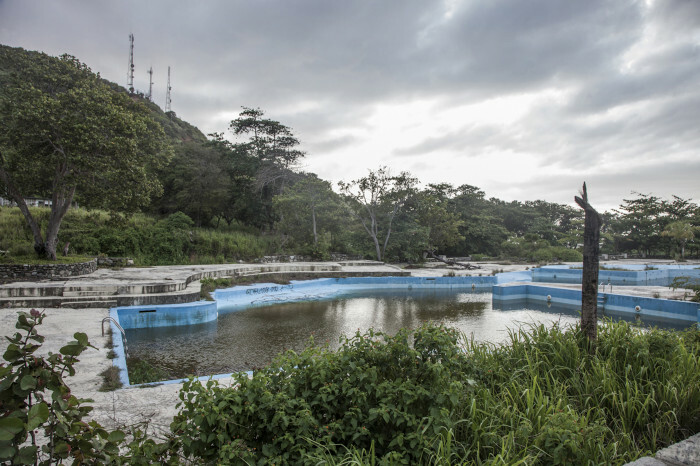 The Caracas hippodrome was transformed into a dangerous, horseless neighborhood. We were left behind. 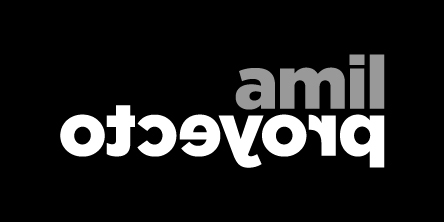 Every idea from fiction and science fiction was flipped over and inverted. The surprise came from a repressive government and that gives us a lot to think about. We’ve seen so many tanks at international shows: as fountains, treadmills, flipped over, buried, disassembled, performing some other function. But that tank in the entrance to that Caracas museum was a real tank. It was telling us something that we later understood: that they were declaring war on us. Many have lost their capacity for laughter, which lets you read everything in a dislocated fashion. We lack distance from reality. We’re suffocating from reality. There’s a war occurring and it’s being waged against subjectivity. Maria Virginia Jaua is a writer, editor, critic and cultural researcher. She has developed and collaborated with diverse editorial projects. She directs the online magazine of art criticism and cultural analysis Salonkritik.net. She lectures and runs workshops about art, writing and image analysis. She is part of the Sorbonne Nouvelle research group Écritures de la modernité. She has collaborated with artists and musicians in different productions and it is in this interdisciplinary field where she develops most of her work. 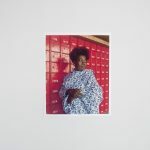 Ángela Bonadies (Caracas, 1970) is an artist whose work focuses on memory, the archive, urban space and thinking about the photographic image from the perspective of photography. Her recent exhibitions include: Días explosivos y el afinador de pianos at La Plataforma in Barcelona, Spain; The White Elephant at after the butcher gallery in Berlin, Germany; and Global Activism at ZKM (Zentrum für Kunst und Medientechnologie) in Karlsruhe, Germany. 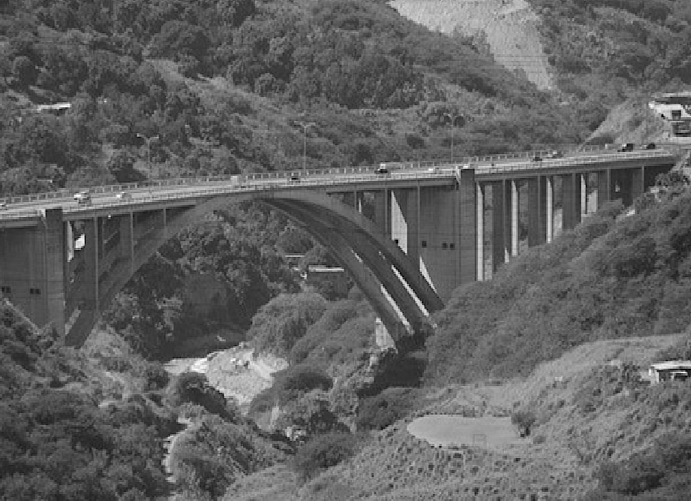 Puente Caracas – La Guaira, Venezuela. Autor desconocido. Antes de comenzar a entrar en materia, quizás sería pertinente sentar algunas posturas con respecto a la temática que se nos propone. Se nos plantea que el ‘shock’ a partir de Naomi Klein, podría ser una estrategia artística o un método estético con el que los artistas trabajan para revertir el efecto negativo de las políticas neoliberales del capitalismo o de cualquier ideología o incluso los destrozos de una guerra o una catástrofe natural. El arte contemporáneo serviría entonces como una suerte de ejercicio de mediación que ayudara a los humanos a “digerir” el trauma ocasionado por las terribles realidades a las que está sometido en lo que llevamos del siglo XXI. He pensado que a través de una conversación con una artista venezolana que aborda algunos de los ejes temáticos a los que se quiere dar forma, o sobre los que vale la pena reflexionar en relación a esa “posibilidad”, se podría llegar a otros planteamientos quizás menos “salvíficos” y menos esperanzadores pero quizás más auténticos y por ello más “productivos”. Ángela Bonadies: El viaje a La Guaira o al Estado Vargas es un viaje a un “estado melancólico”, podría decir. Es un lugar que, a pesar de su paisaje poderoso, se ha convertido en tierra de nadie y de todos, en patio trasero con vista al mar, en sala de espera, en un espacio permanentemente provisional y ruina dominante, de especulación y contraste, de desplazados: unos y otros, los que son de allí y los que vienen de otras tierras, los que siempre hemos ido y lo recorremos, todos hemos sido desplazados: de origen, de labor, de paisaje. Es también y, como dices, un espacio de humanidad, un lugar donde el trauma nos volvió conscientes de nuestra vulnerabilidad. Es eso, un lugar habitado y transitado por seres vulnerables, tanto los que vivieron la tragedia como los que llegaron después y todos los que amamos esa costa, que es nuestra salida al mar. También al recorrerlo he tenido la sensación de que es un territorio “pre-legal”, donde no existe ni ley ni derecho, donde los especuladores y poderosos asumen la forma de un dios castigador y limosnero. Y mientras tanto la gente deambula y espera en medio del caos de ese lugar indescriptible. Empecé a realizar ese viaje sin pautarlo, varias veces al mes o una vez cada tanto, cuando puedo, paso por los mismos lugares, siempre acompañada. Ha sido un recorrido por el litoral y por estructuras arquitectónicas que he elegido como paradas obligadas que he ido registrando. Por ejemplo: una casa abandonada por los propietarios en Los Corales con una piedra inmensa estrellada en el techo que ha sido ocupada por grupos de desplazados a la espera de una vivienda que el gobierno les prometió. Desde que empecé a visitarla en el año 2013 ha sido ocupada por al menos cuatro familias distintas y la piedra sigue allí, desde 1999: en la casa fracturada han construido nuevas habitaciones y todos conviven con la piedra y con la leyenda que cuenta que en las bases de la casa habita una gran serpiente desde el año de la tragedia. El peligro se ha desplazado hacia figuras mitológicas, superiores o irreales. Es algo que me interesa: las narraciones que parten de la arquitectura, que funciona también como archivo y estructura vulnerable, como archivo de historias. Esos viajes o recorridos tienen un lado afectivo, el de negarme a perder ese vínculo que mantengo desde la infancia: pocos recorridos me emocionan tanto como el de la carretera de la costa. Por otro lado, me interesa como espacio geográfico que envuelve y traduce lo que han sido estos años de gobierno, que ya son dieciséis. Creo que hay que registrar lo que allí sucede: Vargas es un archivo tumbado en la costa. AB: Una estrategia a través de la cual el Estado convierte la vida en una realidad violenta: siembra el miedo, inventa enemigos, no controla la violencia sino expone las fuerzas que la deberían controlar, militariza el país, alardea, se sitúa como todopoderoso y nos encierra en un círculo vicioso de continua ofensa y defensa. El gobierno -que en el caso de Venezuela se ha apropiado completamente del Estado y no tiene instituciones independientes que le pongan límites- se mantiene en el poder gracias a esa excepcionalidad decretada y programada, permanente. Hay un libro de Theodor Adorno, “Ensayos sobre la propaganda fascista”, que describe perfectamente lo que nos sucede y ha sucedido en otros regímenes totalitarios: el discurso explosivo de un político-predicador que inventa un enemigo amorfo, inalcanzable o inexistente –léase, en nuestro caso, imperio u oligarquía– y a partir de ahí crea un gobierno paranoico que lo único que busca es controlar y permanecer en el poder. MVJ: Hablemos sobre tu trabajo “Estructuras de excepción”… En él reúnes la palabra excepción junto a estructura. ¿Se puede “estructurar” la excepción? ¿Es posible arquitecturizarla? AB: Siguiendo el hilo de lo que hemos hablado arriba, sí. Se puede estructurar la excepción si forma parte de un programa de gobierno que pretende envolvernos y aislarnos, si hace de la excepción su poder. Por otro lado, en relación a mi trabajo, lo que busco es inventariar esos casos “excepcionales” que he encontrado; numerarlos, convertirlos en un gran listado, contar lo que cuentan esas arquitecturas, darles la palabra. Así, cuando forman parte de un grupo amplio, se puede intuir o apreciar el carácter programático de nuestra excepcionalidad. Vuelvo a ello: el “estado de excepción” construye un “estado permanente” blindado. El territorio se convierte en un archipiélago de excepciones (robo el título de un libro de Bauman) y así es mucho más difícil construir redes y resistencias, pues estamos atomizados, separados. Un ejemplo tan concreto como metafórico es la caída de los puentes a lo largo del país. Un país que está atravesado por ríos y quebradas necesita puentes; si no existen, si no se mantienen, no hay comunicación entre las partes, se desarticula la resistencia. Una y otra vez me viene a la cabeza esa frase única de Marianne Moore: “las omisiones no son accidente”. Dejar de hacer también es parte de un programa, no es un accidente.De mi parte no se trata de “arquitecturizar” la excepción, sino permitir que la arquitectura la enuncie, la narre. MVJ: Me parece que hay algo muy interesante en tu trabajo al hablar desde la “arquitectura”. Porque curiosamente una ciudad como Caracas, que fue un ejemplo modelo de la llamada “modernidad” latinoamericana registra de manera brutal esa violencia… en sus casas, en sus edificios, en sus puentes y en sus autopistas. Pero también su increíble potencia lúdica, y de desafío a la realidad ¿Cómo estableciste esa relación? AB: Me formé en arquitectura en la Universidad Central de Venezuela. Luego la abandoné y tiempo después volví a ella por este lado, por una entrada lateral. Lo que me interesa es que la arquitectura es un archivo vivo. Como dices, ella y sus estructuras muestran la violencia que se vive y lo hacen sin retórica, la exponen y evidencian. Tomas una foto de un edificio y es una entrevista. Si además investigas su historia o lo que allí ha sucedido, te cuenta sobre el país, la política, la economía, por dónde sopla el viento. Es una veleta, te habla de los aires y el color de las ráfagas, de los intereses del momento. También deja ver tu subjetividad, por supuesto. ¿Cómo y por qué cambian los usos? ¿Por qué en los últimos años algunos edificios, entre ellos algunos con valor patrimonial y símbolos de la modernidad, se han convertido en blancos de la violencia, refugios, cárceles, centros de formación para cuerpos de seguridad, ruinas, oficinas gubernamentales? ¿Cómo podemos traducir esa capacidad de la arquitectura de ejercer una resistencia? MVJ: También hay algo en este tipo de situaciones de excepcionalidad que me hace pensar en que cuando el “Orden” (si algo así existe, pues ya los griegos lo pusieron en duda) se trastoca y se quiebra, los niños son felices. Digo niños pero podría decir ese espíritu lúdico o de rebeldía inherente a la creación. Quizás es la manera de neutralizar el “shock”. El arte, si se da, estaría quizás en una actitud igualmente “irresponsable” de no salvaguardar ningún orden, el arte no conserva nada para la historia sino que a lo sumo sueña… o juega. ¿Hay algo de inconsciencia o de estado infantil necesario para poder atreverse a jugar con lo serio? ¿Será por eso que mucho del arte que se hace actualmente no se diferencia de un periódico o intenta de alguna manera suplir un medio de difusión de la realidad? AB: Creo que “neutralizar el shock” es una buena forma de plantearlo: trabajar sobre lo que está trastocado y darle otro orden posible o ponerlo a la vista o pensar sobre ello. Me interesa lo que está desplazado y juego con ello, pero pongo en duda que sea una situación que me lleve a la felicidad. Creo que el orden trastocado seduce, sorprende y permite proponer otras formas. Es decir, si existe “un orden” (que en nuestro caso y paradójicamente es un desorden planificado), lo que seduce es plantear otros posibles, salir de la vía única, soñar bifurcaciones, jugar con otras formas no impositivas o al menos propiciar preguntas. El texto de Freud sobre lo siniestro o lo ominoso (unheimlich), basado en el cuento “El hombre de arena” de E.T.A. Hoffmann, para mí explica esa seducción y locura por lo desplazado. Hacer saltar las órbitas de los ojos y enamorarse de una autómata son bellas imágenes. Es interesante lo que dices sobre el arte que se hace actualmente, que se parece mucho a un periódico. Porque puede significar que el sueño de trastocar el orden se convirtió en realidad o en pesadilla, se volvió cotidiano. O que la realidad superó la ficción, como muchas veces he escuchado decir en Venezuela. Recuerdo que un artista soñaba con llevar un tanque de guerra a un museo y el gobierno chavista lo colocó allí y llenó las salas del museo de refugiados. El hipódromo de Caracas se transformó en un barrio peligroso sin caballos. Fuimos rebasados. Todo planteamiento de ficción y ciencia ficción fue volteado e invertido. La sorpresa vino de parte del gobierno represivo y eso nos da mucho que pensar. Hemos visto tantos tanques en exposiciones internacionales: como fuentes, como cintas de ejercicio, volteados, enterrados, desarticulados, cumpliendo otra función. Pero ese tanque en las puertas de un museo en Caracas era de verdad; nos estaba diciendo algo que entendimos después: que nos declaraban la guerra. Muchos han perdido la risa, que permite leer todo de una manera dislocada. Nos falta distancia con la realidad. Estamos asfixiados de realidad. Existe una guerra y es contra la subjetividad. Maria Virginia Jaua es escritora, editora, crítica e investigadora cultural. Ha desarrollado y colaborado en diversos proyectos editoriales. Dirige la revista online de crítica de arte y análisis cultural Salonkritik.net. Imparte seminarios, talleres y conferencias sobre arte, escritura y análisis de la imagen. Forma parte del grupo de trabajo e investigación de la Sorbonne Nouvelle: Écritures de la modernité. Ha colaborado con artistas y músicos en diferentes creaciones y es en el entrecruce de diversas disciplinas en donde se centra la mayor parte de su trabajo. Ángela Bonadies (Caracas, 1970) es una artista cuyo trabajo se enfoca en la memoria, el archivo, el espacio urbano y en pensar sobre la imagen fotográfica desde la perspectiva de la fotografía. 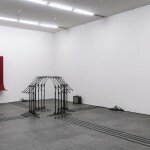 Sus exposiciones recientes incluyen: Días explosivos y el afinador de pianos en La Plataforma, Barcelona, España; The White Elephant en after the butcher gallery en Berlin, Alemania; y Global Activism en ZKM (Zentrum für Kunst und Medientechnologie) en Karlsruhe, Alemania.